You are here: Home / HOME / CLEANING / Are You A Neat Freak? Brought to you by Absolute Domestics. There is no hiding the fact that cleaning isn’t one of my favourite things in the world. Although I have been on my year long path to simplify my life and reduce clutter, some habits can be harder to break than others. While having less stuff and decluttering my life and every part of my house… well I’m over half-way at least, it has made some areas of our home much neater. In fact, one of the worst zones in the house – the home office, is only half done still, yet I was admiring how much floor is visible for a change. Off to a good start. Breaking bad habits is a gradual process usually. Few of us can suddenly become a neat freak suddenly, just because we decide it would be a great idea. But changing those habits step by step will have you well on your way to a neater home and more organised life. However there are some people out there that are actually pretty awesome at keeping everything at home neat and tidy. They put things in their correct spot straight away and not just because they have guests coming to visit. Some people hate mess enough to eliminate it from their home. A stage I am aiming for, but have a long way to go. But that brings me to ask, which type of person at you? Are you a tad on the messy side, like me? Or are you a full blown neat freak, having everything in its place and no room for clutter? 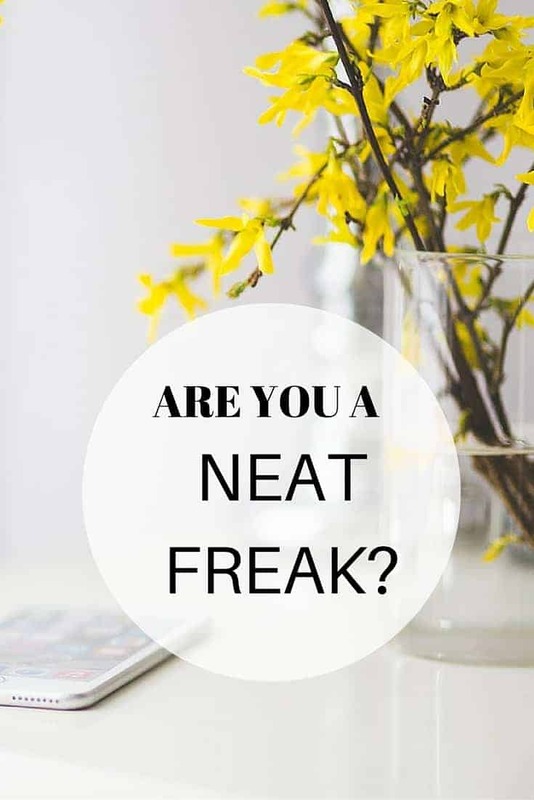 If you want to find out, Absolute Domestics has created a fun quiz to tell you if you are a ‘Neat Freak’ or not. If you do the quiz, be sure to share your results below in the comments. And of course, some tips to improve those bad habits for those of you who still struggle with being neat and tidy. Share your quiz results below as well as your top tip for being a ‘neat freak’. I wish I was a neat freak Holly! I do love a clean house, but not enough to be obsessive about cleaning it, sadly! I would say that I am a neat freak – but I did the quiz and it says I am “balanced”. That’s because my hubster is a “messy” so I’ve had to chill out to keep my sanity, LOL! I got balanced in the quiz which was a lot better than I was expecting – I thought I’d get something like slob with some of the answers I gave!!!! Woohoo I got balanced….i was expecting much worse!!!! 7 people and 2 cats in a small house make it harder to avoid clutter and mess….well that’s my excuse anyways! !